Energy issues are one of the main subjects of the discussion within plenary session of the European Parliament set on February 2nd in Strasburg. Parliament members focused on general problems of the EU energy policy and the outcomes of gas crisis between Russia and Ukraine. Speaking to the session, EC Commissioner for Energy Andris Piebalgs stated: “The agreement between Ukraine and Russia was concluded for 10 years and we can expect that it would guarantee prevention of the kind of situations in future. But still I’d like to underline that EU observers remain on the positions to monitor gas supplies”. 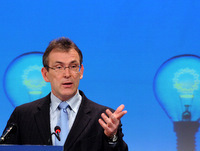 According to the Commissioner, he addressed lists to his “colleagues in Russia and Ukraine” on the issue of observers. Moreover, Piebalgs supported further cooperation with the both Parties – Russian and Ukrainian. “We need to have a strict division between gas supplies to Ukraine and transit to the EU countries, considering that this transit is a financial interest of Ukraine, it gives profit and more economic benefits to Ukraine,” – specified the Commissioner. “We’ll proceed working under this matter, but in general we can state that the gas crises was over,” – he summarized. European diplomatic source in Brussels informed RIA Novosti, that the EP report on the EU energy policy, that will be probably set for voting within a Wednesday plenary session of the Assembly, includes an offer to involve Russia into the project of “Nabucco” gas pipeline construction. According to the source, the author of the report doubt the readiness of Caspian states to fill “Nabucco” with gas and don’t consider “Nabucco” as a competitor to the Russian project “South stream”. At the same time, according to European mass media, the EC is against involving Russia into the “Nabucco” project. The Commission considers that this step would only strengthen the energy dependence of the EU from Russia. Also a number of the key EU members, in particular Germany, Italy and France question the necessity of “Nabucco” construction. And meanwhile the EU executive power has already allotted 250 million Euros for the project that would become an alternative way of natural gas supplies. As known, before the escalation of Russian-Ukrainian gas conflict, in the end of the last year many analysts called Moscow and Kiev to be discreet, foreseeing grave political and economic outcomes of this confrontation. The outcomes became evident in the hottest point of the crises – avoiding conflict details, European consumers of Russian gas, who had been enriching Russian budget for years, declared the necessity of alternative pipelines construction to break the dependence from unreliable transit countries as well as from unreliably suppliers. Agreements between Moscow and Kiev on resumption of Russian gas supplies to Europe haven’t blocked this intention. Quite the opposite, the struggle began to choose between the two alternative projects. In one of them Russia intends to take the most active part, and at the same time it can ruin the second project, according to some politicians. The front line lies between two gas pipelines – writes German Der Spiegel in the article “Gas Struggle”. It focuses on Russian ambition to become the key natural gas supplier to Europe, in particular by means of “Nord Stream” pipeline. No other gas pipeline has never been such a debatable subject as this net of 100 thousand steel pipes will transfer Russian gas to Germany along the depth of Baltic Sea starting from 2011. In this respect the supporters of the Baltic project involve single numbers. They state that Europe will demand a 1/3 more of natural gas. Gas fields in the Netherlands and Great Britain will deplete by that time, that’s why European continent should stake on Russia. Meanwhile, the gas pipeline opponents worn – today 41,5% of gas consumed in Germany is supplied by Putin, the dependence from Russia increases, Europe becomes less secure from political blackmailing. Moscow actions in the war with Georgia, Russian trade sanctions against Poland – it all plays into the hand of skeptics. And after New Year, after Russian-Ukrainian gas conflict plenty of new issues arise. The dispute starts again: will new pipeline be able to prevent the development of the kind of crises? 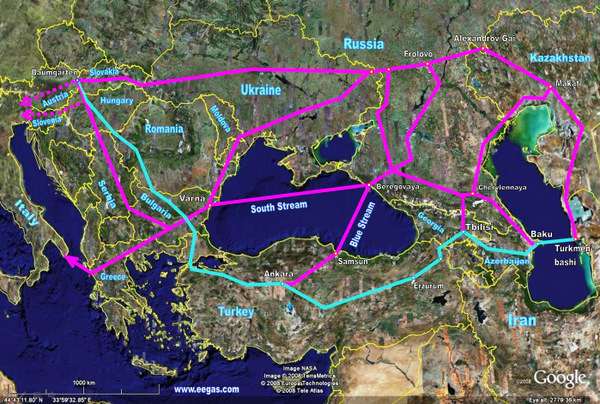 And if yes, then should Germany stake on Baltic gas pipeline or on “Nabucco” competitor that anticipates construction of the pipeline on the far European South through the territory of Turkey? Or should they support the both projects? From this dozen Germany is the most devoted ally of Russia in “Nord Stream” accomplishment. 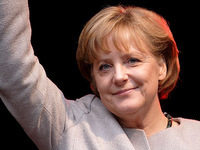 Federal Chancellor Angela Merkel as many observers note provides political support to the Baltic gas pipeline construction, although there is no absolute unanimity over this issue. And the opponents of the project have the same main argument – its accomplishment will strengthen the dependence of the country from Russian gas and Russia itself. And this kind of situation doesn’t lie within the German sphere of interest. A clear opposition to the project has shaped inside the EU. Poland refuses Berlin to support Baltic gas pipeline, stated Polish Minister for European Affairs Mikolaj Dowgielewicz during an interview to Financial Times Deutschland. The reasons are the same – this pipeline can power the European dependence from Russian gas. Warsaw’s position, according to analysts, blocked the attempt of Angela Merkel to use gas conflict between Russia and Ukraine as an argument to support Baltic gas pipeline construction. For the last few days German Chancellor has stated several times about the necessity of states-suppliers and transport ways diversification. Poland and other countries of Eastern Europe support project of the pipeline “Nabucco” construction, as it will transfer gas from Caspian region beyond Moscow’s control. Merkel’s demands considering political support of the Baltic pipeline were also declined by Sweden, pointing that the decision on whether the branch of the pipeline will be laid through the territory of the country to Baltic Sea completely depended on the results of ecological expertise. Commenting on this subject, Nezavisimaya Gazeta concludes that attempts of Russia to use the recent gas conflict with Ukraine to promote construction of alternate routes – “Nord” and “South” streams – collapsed. Experts note, that the usage of the conflict with transit countries to achieve strategic objectives becomes more inefficient for Moscow. As Mr. Pawlak specified during the energy conference held in Czech Ostrava, the construction of “Nord Stream” will demand huge financial expenses meanwhile the project “Amber” can be 30%-40% cheaper. Warsaw’s position has found immediate response In Stockhol, that was against “Nord Stream” from the very beginning because of environmental problems that can arise in the process of construction. Sweden won’t support the construction of the gas pipeline “Nord Stream” along Baltic Sea bottom until the project is finally approved by ecologists, – stated Swedish Environment Minister Andreas Carlgren in Brussels. – We realize the importance of this project, but we can’t violate our laws“. The members of Swedish Parliament and authorities have always apposed to the Northern-European pipeline construction, as it could damage fishing industry and ecological situation in Baltic Sea region. Grave danger presents disposal of chemical weapon of Hitler army, that can occur by ”Nord Stream” laying. German Chancellor Angela Merkel wasn’t able to convince the opponents claiming the EU to support the three European projects on pipelines construction on Thursday. She sent to the EC President Jose Manuel Barroso and to the Prime Minister of the Czech Republic heading the EU Mirek Topolanekl a list to support Nabucco project round about Russia in order to satisfy the ambitions and worries of European colleagues in the issues of energy safety, as well as to support both alternative streams “Nord” one and “South” one. But Merkel still hasn’t gained support of her EU partners. As Andreas Calgren noted, gas pipeline constructors should provide complete and detailed documents proving its safety. Swedish Ministry expects to receive these documents in March, afterwards it will take minimum three month to study it. So, unless until June Sweden won’t make any decision. Moreover the decision can be negative at all. However the expert considers that this scenario is absurd from technologic and political points of view, as Russia intends to minimize the quantity of partners to supply the fuel to Europe and will never agrees on this plan. As for “Nabucco”, experts think that despite that the gas conflict between Ukraine and Russia has clearly demonstrated the need to review European energy policy and to start the given project to reduce the EU countries dependence from Russian energy supplies, there is no absolute clarity in this issue. Let us remind, that the “Nabucco” pipeline of 3300km long anticipates transportation of Central Asian and Caspian gas to European countries through Azerbaijan, Georgia, Turkey, Bulgaria, Hungary, Romania and Austria. It will be the extension of existing gas pipeline Buku-Tbilisi-Erzurum. The construction is planned to start in 2010. The start-up of the pipeline is planned in three years. The analyst of Brussels European Policy Center Amanda Akcacoca underlines that Russian-Ukrainian conflict focused the attention of authorities on the problem of European energy sources diversification. “The issue of energy supplies diversification is extremely serious,” - she noticed. At present a quarter of European gas supplies is transported from Russia, 80% of total quantity is pumped through Ukrainian territory. Some countries, such as Bulgaria, almost completely depend of Russian energy trust “Gazprom”, comments Eurasianet. At the same time it’s absolutely obvious, that Brussels, dimly supporting the project, doesn’t want to invest funds to start the construction immediately. Thus, the “Nabucco” project in a great extend symbolizes complicated process of the unique EU energy policy development. This project that involves billions has been suspended due to the doubts about its profitability within a long-term perspective, considers the edition. It’s also important that there are still sound doubts about the possibility of the pipeline full capacity achievement. At the moment, only Azerbaijan has engaged itself to supply gas for “Nabucco” pumping, but it won’t be enough to use the total capacity of the pipeline. Capability of other potential suppliers as Turkmenistan or Iran is questioned at the moment due to technical or political reasons. Also the “Nabucco” project can be completely blocked by Moscow, that offers Europe to diversify the ways of its gas pumping, by construction of the South stream pipeline, that will deliver Russian gas along the bottom of Black Sea to Bulgaria. “The list of agreements and a pure theory – that’s what we have today, – comments on “Nabucco” Bulent Aliriza, the Director of the Turkey Project at Washington Center for Strategic and International Studies. – This project has continuously faced problems”. Other critics are worried that “Nabucco” is presented as a panacea that is able to solve European energy problems, without further discussions on what is the real diversification of supplies and energy safety. “Simply to build a pipeline closer to South is not a strategic but a regional matter”, – considers the science adviser of NATO Defense College in Rome Andrew Monaghan who have recently prepared the “Nabucco” project report for the European Parliament. “From my point of view, we need to improve the process itself, instead of changing the pipeline hoping that the situation will turn positively.” – he claimed. And meanwhile, before energy summit in Budapest a top-ranking official ofthe EP stated: “The key to solve the problem of energy dependence of the EU countries from Russia can be given to Iran.” Ona Jukneviciene the head of the Parliamentary Cooperation Committee of the EU and the Republics of Central Asia and Mongolia, assumed that the EU won’t be able to limit itself in choosing of “Nabucco” suppliers, if it wants to achieve the goal of diversification of energy supplies to its countries. The comments of Jukneviciene contradicts the opinion of other influential EU representatives, including Energy Commissioner Andrias Piebalgs and the head of the EC Jose Manuel Barosso. They both stated that even if the EU authorities were united to gain Iranian participation within the “Nabucco” project, there would still be a list of obstacles to energy cooperation development between Brussels and Teheran. Firstly, the EU and the USA confront with Teheran because of its nuclear program. In addition, the USA economic sanctions against this country mean that Washington will always be against Iranian participation within the “Nabucco” project. Meanwhile, on the previous week the General Director of the National Iranian Oil Company Mohammad Reza Ne’matzadeh called Islamic Republic Iran “the only way” to fill the pipeline for Europe. Some experts think that this is a food for thought. The “Nabucco” project possesses great potential, in spite of all specified problems, and this is naturally connected with the transit within the territory of Turkey, - develops Jukneviciene. – Beyond doubts, Caspian gas won‘t fill the pipeline completely, and we should involve Iranian gas… The EU is fully aware of the problem”. It’s not surprising, that an issue of the pipeline turns into political. For example, in January the Prime Minister of Turkey Recep Tayyip Erdogan demonstrated that Ankara’s support of “Nabucco” can be associated with long-term plans of Turkey to join the European club. But later Turkish leader bet a retreat having faced harsh response towards his statement from European leaders. Erdogan also called the EU to involve Iran into the project to assure its economic viability. “The “Nabucco” project requires to pump 30 billion of cubic meters of natural gas. But there is no such quantity yet.”– warned the Prime Minister. As for the invitation for Russia to take part in the project, the probability of positive decision is extremely small. 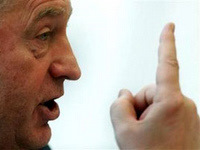 This is an opinion of the director of Due Diligence Department of “NKG “2K Audit – Business Consults” Alexander Shtok. 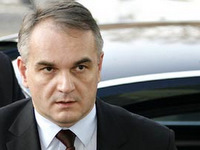 He states, that EP experts think that only Russia can guarantee “Nabucco” supplies. For example Russia could refuse of the Caspian gas pipeline for the share in the “Nabucco” project. “But there are many factors preventing the kind of problem solution, - underlined Shtok. - Firstly, the EC is absolutely against of the idea of Moscow in the “Nabucco” project. This would undermine the very idea of the project – reduction of European dependence from Russian gas supplies. Secondly, if Russia receives the invitation to join the project, today Moscow will hardly accept it. Russia promotes the “South Stream” actively, and there is no need to participate in a competitive project. Thus Russia will hardly become a part of the “Nabucco” project”. According to “Nabucco” Consortium representatives including Austrian company OMV, German RWE AG, Hungarian MOL, Turkish Botas, Romanian Transgaz and Bulgarian Bulgargaz – the EU should invest more actively into the project. On January 26th European Investment Bank declared that it will review the matter of financing of this project, but under the condition of guarantee of enough quantity of gas supplies, urgent for profitability of the pipeline, reminds “Eurasianet”. The Director of the Consortium “Nabucco” Reinhard Mitschek states that required scope of supply can be provided only with the help of Iran, Iraq, Turkmenistan and Egypt. Meanwhile Jukneviciene assumed that private funds should be involved, in particular funds of private banks willing to make secure long-term investments. “I think that in view of global economic crisis this project has a great potential as banks would like to invest funds into long-term projects such as “Nabucco”, – she noticed. Nabucco project, will be included into a strategic plan of the EC for Energy Safety, stated an official representative of the EC Ferran Tarradellas Espuny on January 28th. According to his words, 250 million Euro will be given for the project from European funds. However this money won’t be used as direct investments, but to create a new individual fund, assuring stability of the project. 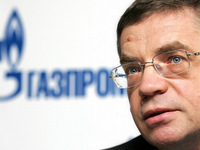 Commenting on this decision Alexander Medvedev the Deputy Head of Gazprom stated that “Gazprom doesn’t consider “Nabucco” as a competitor”, as Russian gas supplies are much higher than this pipeline capacity, and demands of Europe will only increase. “The main problem for ”Nabucco” investors is the issue of its filling up”, - underlined he. The EC strategic plan for Energy Safety comprises 3,5 billion Euro, that will be given from unexpended EU funds. The plan should be approved by the EP and the EU Council. Its final approval is expected in spring. It’s worth mentioning, that in Russia the attitude towards this project ranges from neutral to extremely negative. The Minister of International Affairs Sergey Lavrov declares, that Russia has nothing against “Nabucco”, moreover the more alternative pipelines for European and other countries including Russia – the more assessments within expertise. Thus, for example a famous politician, Doctor of Philosophy in Lomonosov Moscow State University Alexander Dugin called to block the “Nabucco” project by all means. In addition he urged Russian government to start a war within territories of countries striving for energy independence from Russia. “I think that the “Nabucco” project should be blocked by all means, because today it’s about gas geopolitics. Even if takes to start up war conflict. Any means to an end in geopolitics.” – considers Dugin. Earlier, the kind of statement was made by LDPR Leader, vice-speaker of the State Duma of Russia Vladimir Zhirinovsky. He underlined that “Nabucco” will never become profitable, because we won’t let it to gain profit. If it required – Caucasus will be on fire, Turkey will be on fire, Palestine, Israel, Iran. How can any pipeline can be laid through these territories? Only from Russia!”. And considering that radical stances of Dugin and Zhirinovsky are widely known, still they penetrate to the official political level as Zhirinovsky is a State Duma Vice-Speaker. ”Gradual involvement of political powers into “Nabucco” story and the beginning of such a propaganda campaign should be observed as informational attack against rivals, bordering Russia” – said an independent Azerbaijanian political analyst Rasim Agaev during an interview for “Eho”. According to his words, the kind of statements addressed not only to Azerbaijan, but also to Kazakhstan, Turkmenistan, Georgia and other states. “Everybody perfectly knows what kind of danger “Nabucco” is for Russia. And the Kremlin involves all the resources to secure itself,” - noted Agaev. However, the expert concludes that in this respect Russia only needs to disqualify two countries supplying and transiting countries like Azerbaijan and Turkmenistan. And this is a very serious issue in perspective. Because we are talking about energy safety of Europe. “Who should have the leading role within energy markets, and as we have already observed first gas war between Russia and Ukraine, we can easily imagine that this is a beginning of future multiparty conflicts resulting into grave wars. And thus we’ll have all chances to witness 4th energy war that will follow the “cold war” – explained he. And Agaev concludes that it won’t be traditional. “It will comprise informational resources, as well as political, diplomatic and energy. And this is the main threat for the global community. In particular, distribution of energy sources, regulation of supplies and transit control”, - marked the political expert. In addition, having mentioned the comment of Zhirinovsky, the expert stated that Russia would hardly allow itself to accomplish the kind of plans. “Russia will never take the kind of risk as a war situation within borders won’t do anyone good. If the Russian Federation still dares to make this step, than the events in response can shift all the expectations”, - marked the expert. Interview with the EC representative for Energy Ferran Tarradellas Espuny. The final stage of the project of energy supplies from Caspian basin and central Asia to European markets is expected in the end of this year. On the background of the desire of potential European buyers to diversify the natural gas suppliers and Russian initiative to purchase “blue fuel” from the second stage of the project of gas condensate field “Shah Deniz” the matter of the possibility to change the way of supplies attracts special interest. - As expected, the “Nabucco” project will be completed by the end of this year. How would you evaluate the project accomplishment process? - I’d like to note first that we are talking about the terms of energy transit. Speaking about accomplishment of the “Nabucco” project by the end of the year, we mean the term of finalizing the negotiations and conclusion of agreements with the countries that will gain the transit status within this project. Together with the “Nabucco” project, we are working under the “Transarab” project. But anyway, I think that this project will soon be accomplished because “Nabucco” is beneficial for all parties. Importing countries will receive the possibility to diversify their energy sources, and exporting countries in their turn will obtain new markets. At the same time the economic benefits for transiting countries are more than obvious. - How would you assess the stance of Azerbaijab in the issue of the “Nabucco” project accomplishment? - Azerbaijan possesses enough stores of natural gas and oil. We think that from the view of energy safety Azerbaijan is an extremely significant state for importing countries. At the same time geographic location of Azerbaijan underlines its significance also in the issue of transit. It means that Azerbaijan is an equally important exporting and transiting country. These factors turn this country into a very significant part of this project accomplishment. And concerning your question, Azerbaijan was the first to express its willingness to participate in the project. - How would you comment on the achieved agreement between Russia and Ukraine in connection with the last “gas” crisis? - At the moment the most important is that the Parties have come to one joint view of this crisis. It is a positive factor. At the same time we think that the prevailing factor of the agreement should include the terms of non-use of energy as a tool of political pressure. - Probably, you are informed about the invitation of Azerbaijan to join the Organization of Petroleum Exporting Countries (OPEC). 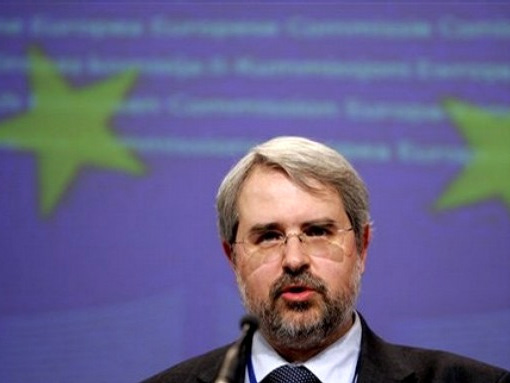 What will be the reaction of the EC if Azerbaijan accepts the invitation? And in general how does the EC for Energy evaluate the recent decision of the Organization to reduce daily quota of oil production to the lowest level in the history? - Fundamental principles of our work are based on the terms of partnership. Our relations with Azerbaijan are pretty firm and proceed developing. And concerning the decision of Azerbaijan about the invitation to OPEC, I think that the kind of decision is a sovereign right of every state. From the other hand, OPEC is a cartel of energy exporting countries, i.e. countries that are interested in markets with high energy costs. And this fully explains the decision. In this case, the question arise how will this decision influence the cost situation in close perspective. Till now, energy costs have been falling with only minimal increase. This proves once again that prices should be regulated on the basis of market principles and conditions, as well as on the principle of transparency. 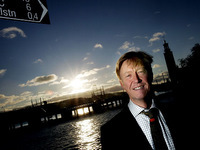 - Energy market is sensible to oil costs fluctuations. How do you think, what can be an average cost of “black gold” this year? 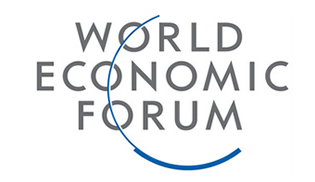 - I don’t really think that the cost situation within global markets can be predicted. It became especially harder within financial crisis. There are plenty of details that more or less influence the cost situation. Summarizing, it’s really difficult to take the responsibility to predict the average prices of the current year in advance.